To give your mulberry flowers dimension and a beautiful two toned effect moisten or mist them with water before coloring with Starbursts & Moon Shadows. 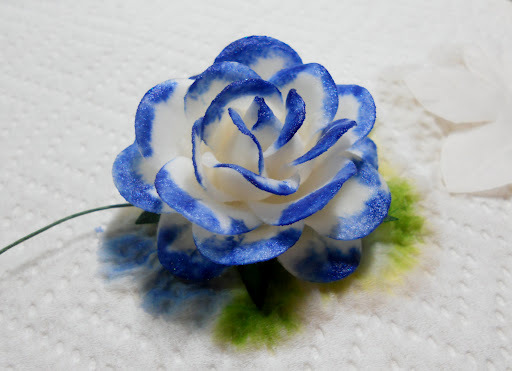 Once flower is moistened kiss the tips with a paintbrush and your favorite Starburst or Moon Shadow. 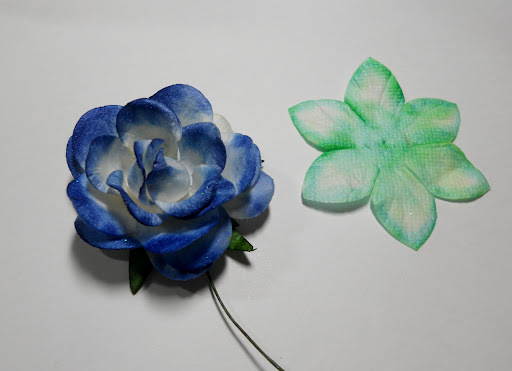 I used Afternoon Delight Denim Starburst on the rose and Lucky Shamrock Green Starburst on the petal.